The first book in the Jim Wilson series. V4 Vengeance: Hitler’s Last Vengeance Weapons Are Going To War is a terrorist thriller by Nigel Seed. Major Jim Wilson, desperate to find a job after the British Army downsizes, accepts an assignment from Romanoff, a wealthy Russian, to search for a hidden World War 2 U boat base in Germany. 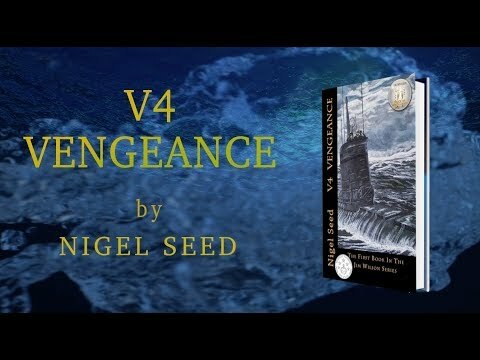 Nigel Seed is a British author of several action novels and ‘V4 Vengeance’ is the first in the Jim Wilson series. Seed has a free-flowing writing style and makes good use of the literary devices at his disposal.